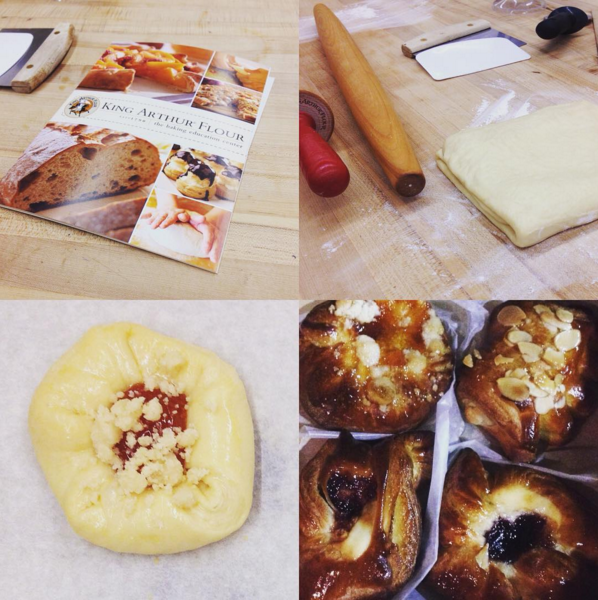 This weekend, I took my first ever class at King Arthur Flour. You may notice a distinctly pastry-oriented slant to this week’s TWIL. Adding salt to an egg wash helps break down the albumen, making it less gloppy. High-fat butter (83% or higher) is the best for making laminated dough: it’s more pliable and less likely to fracture/tear the dough. You can make Danish/croissants/puff pastry with shortening, but you’ll get a less crispy, less caramelized, less flaky, more tender result because you’re using 100% fat, which doesn’t have the water content necessary to create steam and puff up during baking. Also, shortening lacks the necessary milk proteins to brown. How to upgrade OpenSSL on a Mac, which isn’t strictly necessary for security reasons, but is helpful to avoid warnings from other open source tools (like Composer). I wrote my first piece of code in PHP using regex (to extract a bunch of words from HTML lists). I also wrote another, better piece of code to do the same thing using the PHP DOM, which I am so glad I now know is a thing. Along the way, I stumbled across this, which I will leave there to remind myself never to try to parse HTML with regex again. Soy sauce, rice vinegar, honey, and sriracha make a pretty good salad dressing, especially if you’re searching for something to go with leftover baked tofu, mixed greens, shredded carrot, and slivered red onion. The countifs function in Google sheets or Excel will let you count the cells in a range that match a certain criterion—and here’s the cool part—if a cell in another range matches a different criterion. Magic. Giant rabbits are real, and can weigh over 20 pounds. 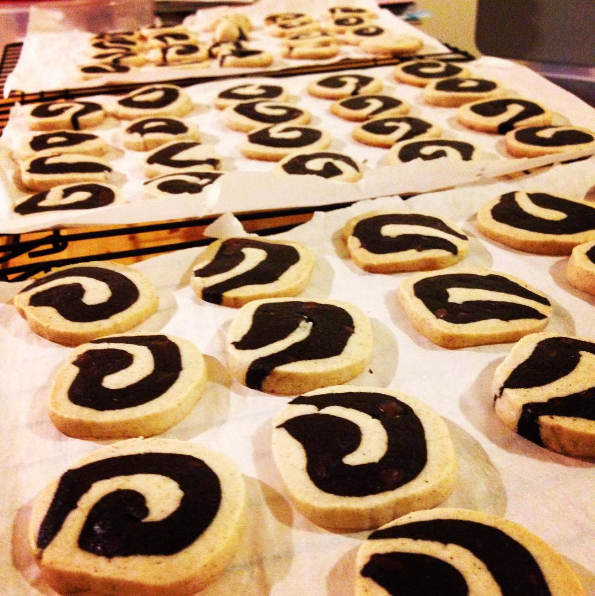 MetaFilter cookie swap baking underway! How often does a loaf of bread BLOW YOUR MIND? A few weeks ago, I stumbled across the Great British Bake Off on Netflix and fell in love. Compared to American reality television, everyone’s so nice! Bakers who are kicked off at the end of an episode get hugs and “I’m sorry” and “you’re going to be great!” instead of “pack your whisks and go” or “give me your apron.” It’s the best. Also: the food looks amazing. 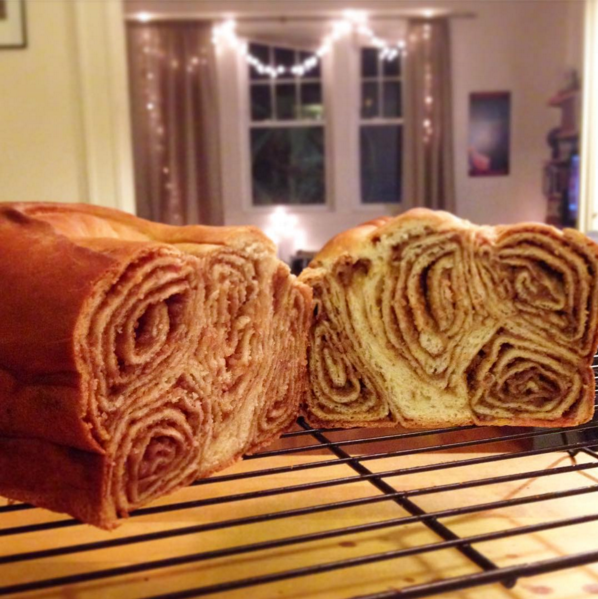 Especially the food from this episode, which introduced me to the wonder that is povitica. After waffling a bit over whether I could ever roll dough that thin and how I would possibly find space on my apartment countertops and if I’d be able to spread out the filling and roll up the dough without making a giant mess, I decided last night to give things a shot, using the quarter version of this recipe (the full version makes FOUR LOAVES, so be careful, there). 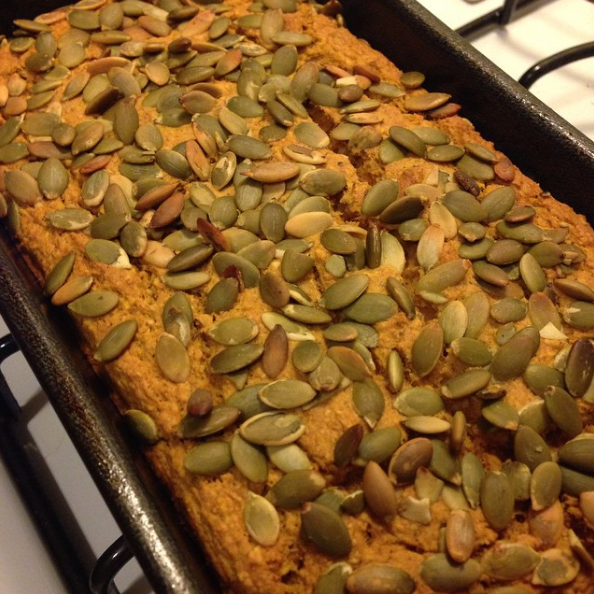 Did I say vegan gluten free pumpkin maple oatmeal bread? Why yes, I did!